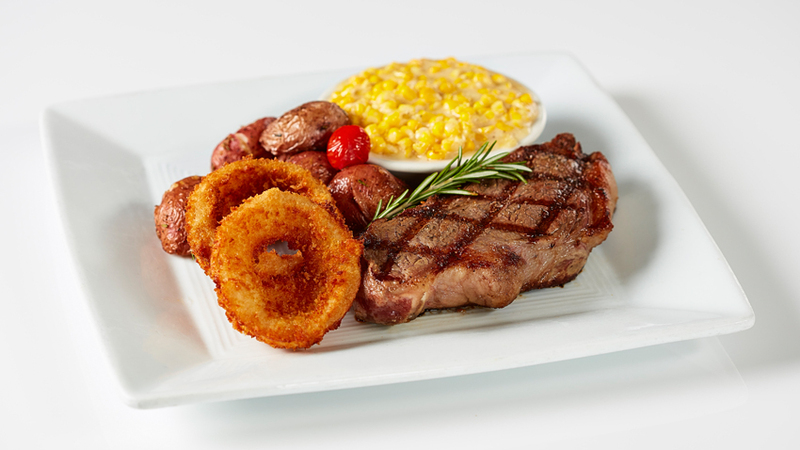 and topped with our hand-made onion rings. 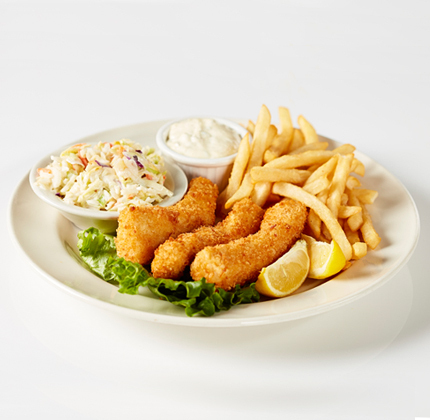 Battered Halibut, sweet pineapple coleslaw, French fries and our house-made tartar sauce. Moist chicken, green peas, carrots, celery, and potatoes with a chicken gravy topped with a buttery crust. Baked fresh so sometimes we sell out! Tender pieces of beef, green peas, carrots, and potatoes with rich beef gravy surrounded by a house-made brioche bowl. Savory cheddar cheese sauce, served on a grilled English muffin with a bacon and tomato garnish. A Du-par’s Tradition! Served with two sides of your choice and a fresh baked dinner roll. Upgrade and add a cup of soup, garden salad or a slice of pie to enjoy for dessert! and homemade southern country gravy. A juicy, tender hen turkey, hand-carved with all the traditional trimmings! 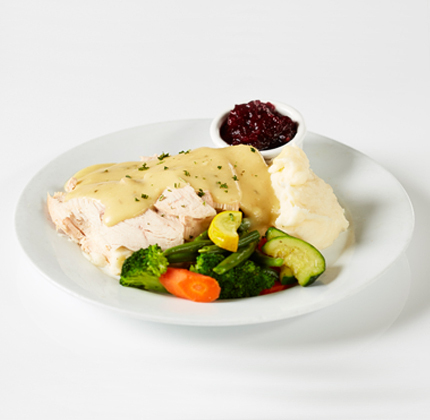 House-made herb dressing, creamy mashed potatoes, sautéed vegetables, turkey gravy and whole cranberry sauce. Grilled boneless chicken breast prepared with a light lemon sauce. Served with seasoned rosemary potatoes and sautéed vegetables. Choice chuck and pork ground together to create this old time favorite! Topped with brown mushroom gravy. Served with creamy mashed potatoes and sauté seasonal vegetables. 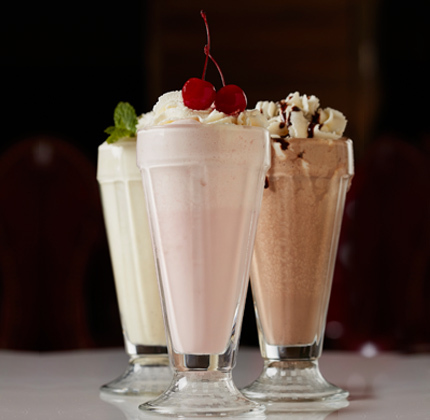 Made to order with our house-made ice cream. We also make malts. 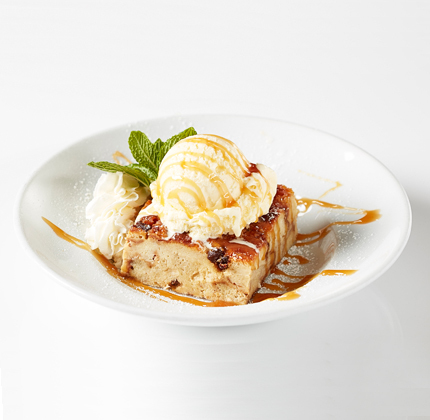 Served warm with caramel glaze and house-made ice cream.